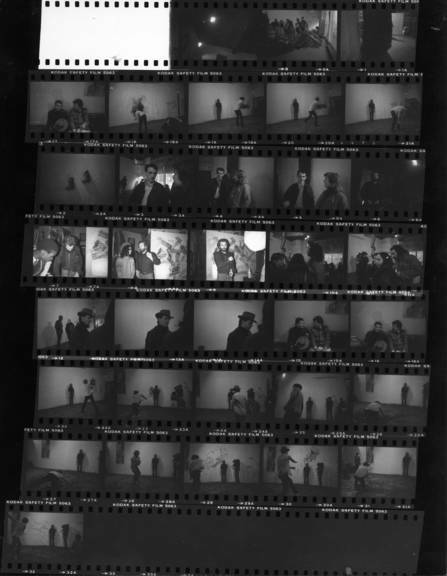 As the first in a series of events conceived to raise funds for New York City’s poor, Soup Kitchen presented a performance series hosted every night at 8pm in the gallery space from October 2 through October 15, 1983. A photography exhibition of the Twentieth Anniversary Jobs, Peace, and Freedom March on Washington, D.C. by Paula Berg, Mary Agnes Smith and Linda Schoenheimer was on display and for sale to benefit the needy. Soup Kitchen was presented at Storefront for Art and Architecture and Fashion Moda by the Food for the Soup Kitchens Committee in cooperation with the Coalition for the Homeless.